Breaking News... We have just learned that Haitian musician Boulot Valcourt has died in New York Friday, 17 Nov 2017 where he was hospitalized the last 3 months. Haiti Communication Minister Limond Toussaint confirmed the death of the long time musician in a twitter message. "My sincere sympathies to the family, his musical family, the cultural sector and all music lovers pierced by the disappearance of Boulo Valcourt," the Ministre Toussaint wrote. "He will remain alive in our hearts and on our lips through his songs and his musical humanism which he alone had the secret." 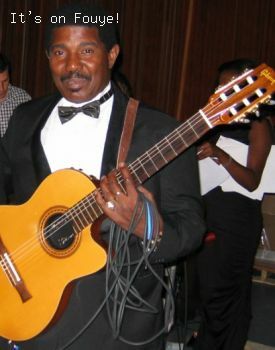 Nous venons d'apprendre que le musicien haitien Boulot Valcourt est mort à New York le vendredi 17 novembre 2017 où il a été hospitalisé au cours des 3 derniers mois.